Cyprus is our next destination at Island Profiles. This sunny island is the third largest in the Mediterranean. It is located in the eastern part of the sea and is alternately considered to be a part of Europe, to which it has stronger ties culturally, or, more frequently, Asia, because of its geographical location. Turkey lies 47 miles to the north and Syria and Lebanon 66 miles to the east. There are so many fascinating things to learn about Cyprus. Politically, it is a divided country. 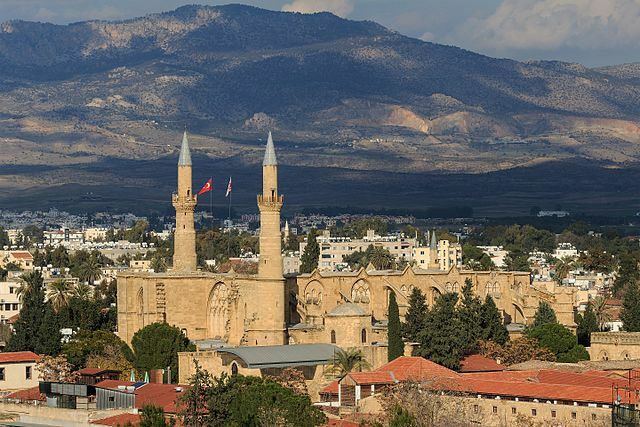 Strategically important, Cyprus has an ancient history and has been controlled by Assyrians, Egyptians, Persians, Ottomans, Venetians, Romans, French and British. After World War I, it became a crown colony of Great Britain. 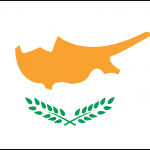 Cyprus became independent in 1960, but an attempted coup by the Greeks in 1974, led to a Turkish invasion which eventually resulted in a divided state. 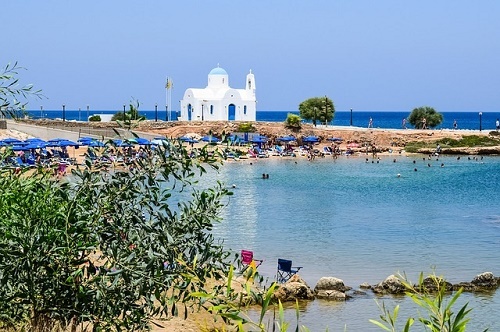 Separated by a ‘green line’ which consists of a United Nations controlled buffer zone, the south part of the island is Greek speaking and its government is internationally recognized. 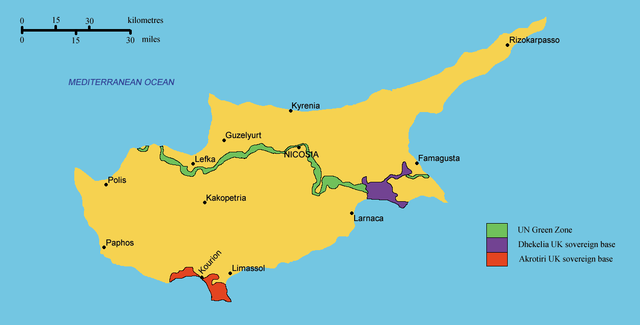 The Turkish Republic of Northern Cyprus is a self-proclaimed state which is recognized only by Turkey. 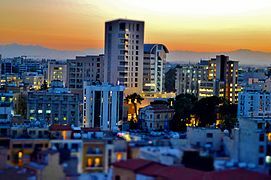 The island’s capital city Nicosia, which is also known as Lefkosia, is a divided city. While most of the green line separating the Turkish Cypriots from the Greek does not have a physical wall, Nicosia does. It is currently the world’s only divided capital and the only capital city to have two time zones, as the Turkish north decided to abolish daylight saving time in 2016. The modern southern part of the city is very cosmopolitan, while the north is more characterized by dusty lanes. Venetian fortifications around the old city still stand. 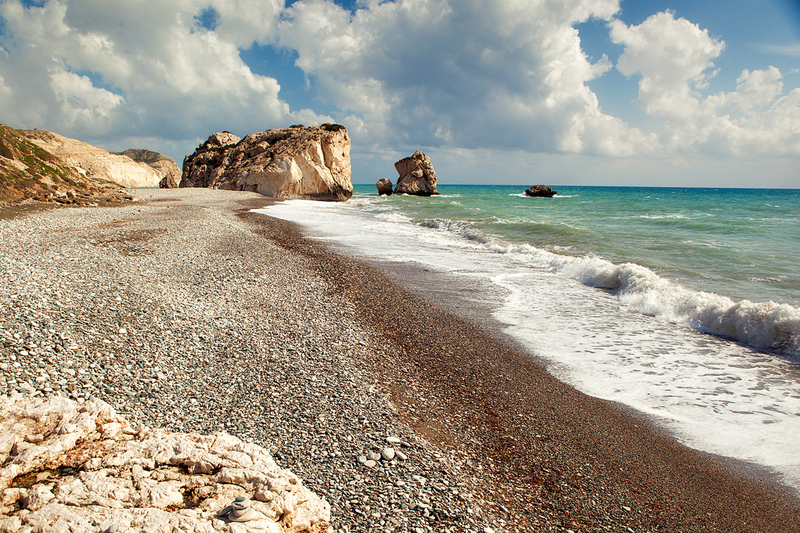 Cyprus is traditionally the birthplace of the goddess Aphrodite and she is the island’s patron. The island has numerous sites dedicated to her as well as extensive archeological sites. The official languages are Greek and Turkish, but over 80% of the population speaks English, as it was the official language during British rule. The Greek population is primarily Greek Orthodox Christian, while the Turkish are Sunni Muslim. Geographically, the island has two mountain ranges and a high central plain. In the southeast, there are numerous resorts as well as archeological sites and Petra tou Romiou, the birthplace of Aphrodite. The isolated Akanas Peninsula in the Northwest, has several diverse habitats and is considered by many to be the most beautiful area on the island. The forested mountains of the interior conceal hidden villages, colorful frescoed churches, wildlife and vineyards. 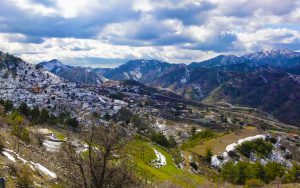 Although the island is one of the sunniest and hottest places in the Mediterranean, the Troodos Mountains receive heavy snowfall in the winter. There are also four ski slopes! 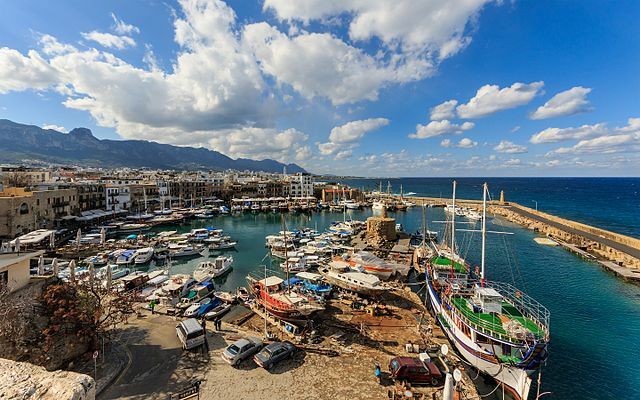 The rocky northern coast hides some of the best beaches as well as the beautiful harbor at Kyrenia. 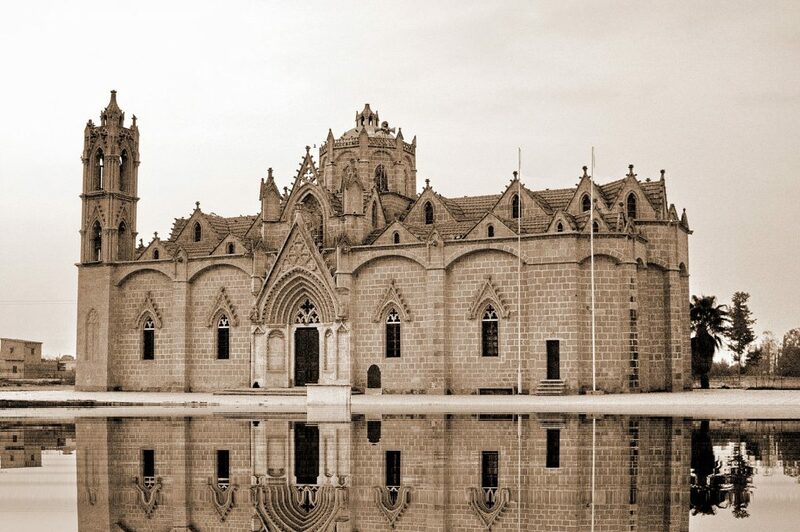 The north also offers many classical sites, crusader castles and resorts. The Karpas Peninsula in the northeast is untouched by industrial development and is dotted with small villages populated by farmers and fisherman. There are also wild donkeys that roam the peninsula. There are a lot of fascinating aspects to this beautiful and unique island destination. 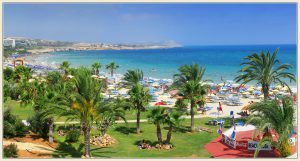 I am excited to begin exploring the sights, history and culture of Cyprus.